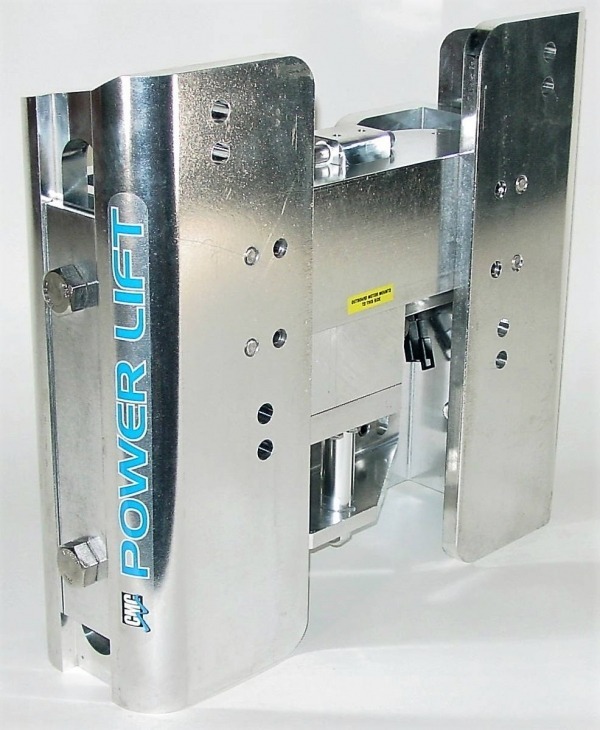 This Heavy Duty Jack Plate is suitable for up to 400HP and is fitted with an extra powerful hydraulic ram. Lift time is approx 16 seconds. Will operate at full load, full throttle. Made of 6061-T6 extruded aluminum alloy. 5 1/2″ Set Back from Transom. 5″ Vertical slide adjustment adjustment. Heavy Duty Slide kit fitted as standard. Can be fitted with standard CMC Gauge kit if required. 3 inch vertical fixed adjustment using mounting holes. Designed to fit standard B.I.A. bolt pattern without drilling holes or making modifications in the boat or motor. 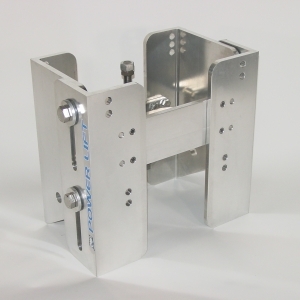 Made of 5/8 and 3/4 inch aluminum alloy extrusions and fastened with stainless steel fasteners. Ideal for fresh or salt water use. No welds or castings to break. The dependable, self contained and water proof hydraulic actuator has 3200 kg of thrust. More than any other transom jack. No problem to lift even a V-8 motor at full throttle. 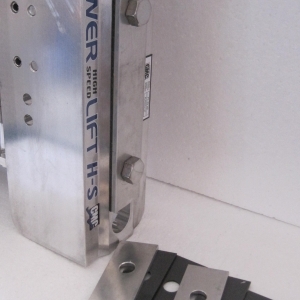 The actuator is mounted inside the structure of the Power-Lift. There are NO hoses inside your boat. NO pump and NO reservoir inside your boat. The hydraulic actuator is completely self-contained with its own fluid reservoir. It contains a permanent magnet motor for more power and R.P.M., a no-leak seal and wiper seal that keeps dirt and water out of the working parts. The system is made of 100% non-ferrous material which makes it impervious to saltwater and freshwater. The patented side roller design means less friction, longer wear, less maintenance, and virtually no binding problems which are common with other transom jacks. The roller assembly contains a stainless steel 3/4″ pin with aluminum-bronze alloy rollers. The roller is highly impact resistant, corrosive resistant, and has a high load carrying capacity. Most importantly, the outboard plates on our units are fully supported throughout the vertical travel of the unit. 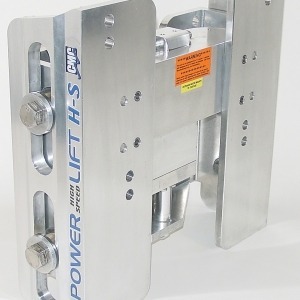 Over 190 Hydraulic Jack Plate units sold by us in Australia over the last few years, and no problems. 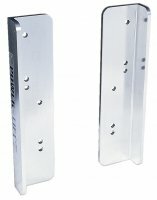 The PL-65-HD is rated for V-8 motors and smaller and gives you 5″ of vertical travel with 1-1/2″ of adjustment on the motor bracket and 1-1/2″ of adjustment on the transom bracket. A TOTAL HEIGHT ADJUSTMENT OF UP TO OF 8″ IS POSSIBLE .